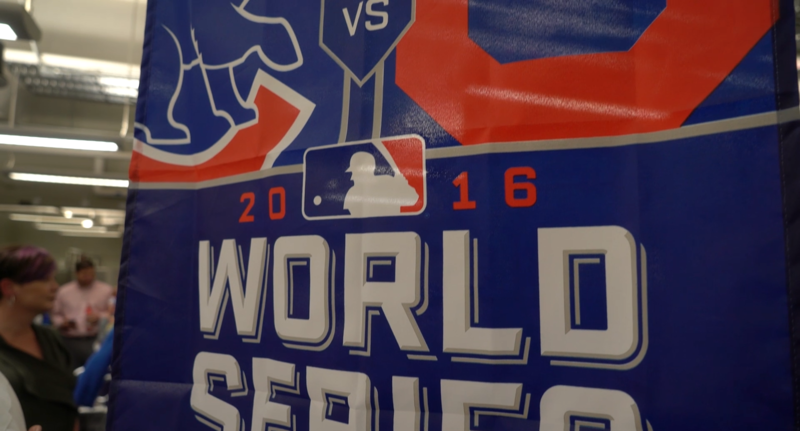 On November 2, 2016, the world watched as the Chicago Cubs won their first World Series since 1908 in an epic Game 7 that included extra innings and a rain delay. The win was especially sweet for our Agency’s founder, John Appleyard, who has been a devoted Cubs fan his whole life. On November 14, friends and family gathered in the Blue Wahoos’ locker room to celebrate the historic win and Mr. A’s 94th birthday. A good time was had by all, but, as they say, a picture’s worth a thousand words, so enjoy the video!